The kind of watch for those who know a thing or two about decent gadgets. 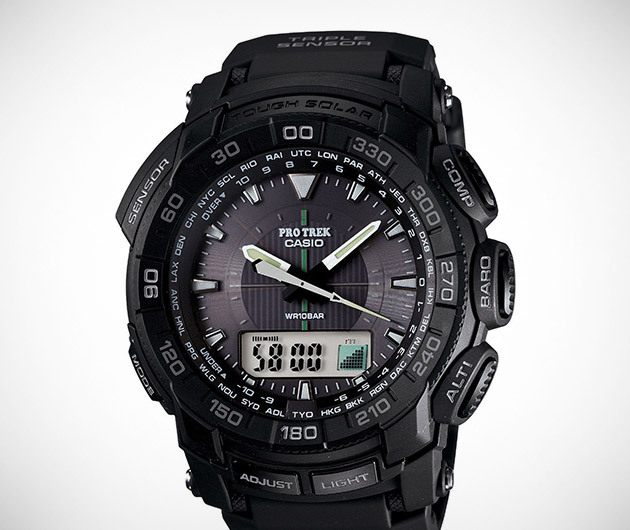 The Casio Pro Trek PRG550-1A1CR is a hard-as-nails solar powered device with, among other things, a built-in digital compass. It's water resistant to an impressive 100m too, but even if you're not a member of an elite fighting force, the Pro Trek PRG550-1A1CR will still cool as hell down at your local pub.